SoftBank's Vision Fund will invest close to $2.5 billion in Flipkart, sources familiar with the matter told Reuters. Flipkart did not disclose its new valuation after the SoftBank investment. Flipkart has secured nearly $2.5 billion in funding from Japan's SoftBank Group, giving the online retailer more firepower to compete with Amazon in the country's burgeoning e-commerce market. SoftBank's Vision Fund, the world's largest private equity fund, will invest close to $2.5 billion in Flipkart via primary and secondary share purchases, two sources familiar with the matter told Reuters. 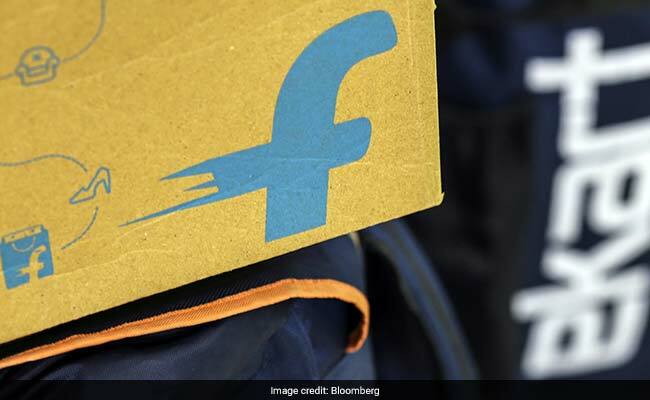 Flipkart, which raised $1.4 billion in April from China's Tencent, online marketplace eBay and software giant Microsoft, will now have more than $4 billion of cash, the Bengaluru-based company said in a statement on Thursday. The deal comes just 10 days after SoftBank's attempts to forge a deal between Flipkart and smaller rival Snapdeal - and thwart Amazon's ambitions in India - fell apart following months of negotiations. The investment is part of the same funding round that had raised the $1.4 billion and will make SoftBank's tech fund one of Flipkart's top shareholders. It also underscores global investors' growing confidence in the Indian e-commerce sector where dominant players Flipkart and Amazon are not burning cash on deep price discounts as much as a few months ago. "This battle is going to be fought and won on delivering better and more differentiated customer experience - by investments in areas such as logistics and technology," said Rohan Dhamija, a partner and head of India and South Asia at consultancy Analysys Mason. Flipkart did not disclose its new valuation after the SoftBank investment, or which shareholders had sold stock in the secondary sale. The retailer said in April it had a valuation of $11.6 billion after the funding from Tencent and others. Prior to the latest round, U.S. hedge fund Tiger Global, South Africa's Naspers and Indian venture capital firm Accel Partners were some of Flipkart's major backers. One of the sources said that once the current round of financing closes, SoftBank Vision Fund would own roughly one-fifth of the company and displace Tiger Global as Flipkart's largest investor. SoftBank, the biggest investor in India's leading cab hailing service Ola and top hotel aggregator Oyo, is keen to play a more active role in the country's e-commerce sector which is expected to drive sales upwards of $35 billion by 2020. "We want to support innovative companies that are clear winners in India because they are best positioned to leverage technology and help people lead better lives," SoftBank Chief Executive Masayoshi Son said in the statement. The Japanese conglomerate has poured nearly $1 billion into Snapdeal since 2014 and until 10 days ago had been trying for months to engineer an all-stock transaction between Snapdeal and Flipkart, as a means to secure a sizeable stake in the latter. However, that plan soured after Snapdeal decided to remain independent. Goldman Sachs and Citi advised Flipkart and SoftBank Vision Fund, respectively on the investment deal. Gunderson Dettmer and Khaitan & Co acted as legal advisors to Flipkart, while AZB & Partners advised Vision Fund.